Former Democrats leader and current academic within the Not for Profit sector, Cheryl Kernot is to stand for a Senate seat in NSW as an independent. Kernot will contest the coming election under the banner of 'Change Politics!'. Kernot says the quality and expense of the current election campaign with its narrow, superficial focus and avoidance of the complex and challenging issues facing the nation has led many NSW residents to contact her in despair. Kernot is currently the Director of Social Business at the Centre for Social Impact at Sydney University. 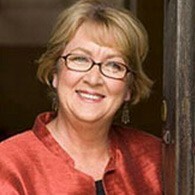 She has also been elected as Chair of the Fair Trade Association Australia & New Zealand. Since December 2007 she has been an honorary board member of Foresters Community Finance which is pioneering social investment in social enterprises, and is also on the founding committee of a UK charity which works to provide shelter and education for street children in Kampala, Uganda. The Centre for Social Impact says Kernot has not resigned, but will take a leave of absence to work on the campaign. The decision to contest the election was made on Tuesday evening (July 27th), after meeting a small group over the past few months to discuss a longer-term political strategy. Kernot says the deadline to nominate of 12 noon Thursday was made with only a few minutes to spare.